Before World War II, even the simplest home boasted a bit of architectural detail and artfulness. But since then, the American home-building industry has been increasingly obsessed with the mantra of “faster and cheaper”, compromising and minimizing architectural details almost to the point of caricature. Thankfully, the tide is turning – it seems that decades of stripped-down “Builder Colonial” homes, have left Washington homeowners starving for architectural detail. They’ve developed a keen appreciation for the wonderful homes of the early twentieth century, and they expect similar attention to detail from today’s architects and builders. 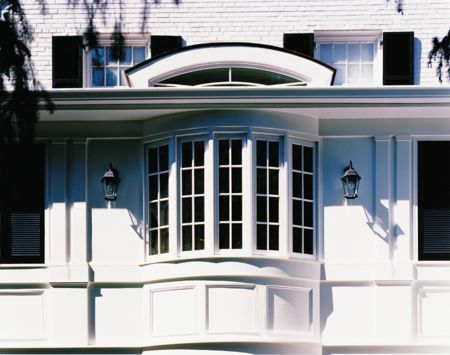 This addition to a home in the Kenwood neighborhood of Chevy Chase, Maryland shows the difference that detail can make.